2017. The Year of Wonder Women. As published on LinkedIn Influencers on December 31st, 2016. I believe in the story of Wonder Woman. I always have. Not the literal baby being made from clay story, but the metaphorical one. I believe in a story where a woman is the hero and not the victim. I believe in a story where a woman is strong and not weak. Where a woman can fall in love with a man, but she doesn’t need a man. Where a woman can stand on her own two feet. And above all else, I believe in a story where a woman has superpowers that she uses to help others, and yes, I believe that a woman can help save the world. 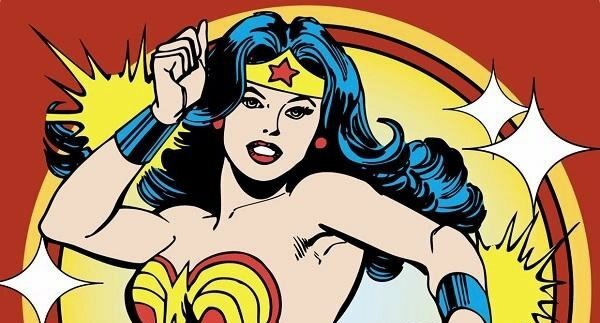 In 1972, the premiere issue of Ms. magazine put Wonder Woman on its cover and boldly proclaimed, “Wonder Woman for President!” Obviously, a fictional character cannot be president of the United States (nor can she be an Ambassador for the United Nations it seems), but I had, however, hoped that when celebrating 75 years of Wonder Woman, I would also be celebrating many other big wins for women in leadership. Additionally, I desperately wanted to see Wonder Woman on the big screen, and three years ago I published a 60 page report to that end. With Spider Man already at three incarnations in just 15 years, I figured it was time for Wonder Woman to get her due. Incidentally, in 2002, I left my job at Goldman Sachs in no small part because I had an idea for a screenplay about Wonder Woman, and I had decided that I was the one to write it. The narrative was that one woman, no matter what kind of powers she had, could not on her own save the world. Anything she could do alone would always be a drop in the bucket, and she learned this the hard way. Yes, she may have saved one woman from sexual assault, but what about the other 1 in 5 women who were likely to experience sexual violence in their lifetimes? So what my character decided to do was to develop a plan to help all women by focusing on the world’s most powerful and influential people and tap into their own unique superpowers. Her job was to recruit them, take them to an island (think Maui), and run a superhero bootcamp. The ultimate goal? To help get the most awesome, incredible, brilliant, qualified, kind woman possible elected to our world’s highest office: President of the United States of America. What was going to be the main dramatic tension of the film? That our ‘perfect’ candidate would not win, but instead would lose to a man who was going to turn the earth over to alien, and very dark, forces. What you did not know at the beginning of the film was that our female presidential candidate was actually delivered to earth at her birth, and was actually was our Wonder Woman character’s sister. Remember this was 2002. No joke. I never did write that screenplay, but so many elements of that story have since played out in real life. Beyond the narrative around a possible female president, there is the bigger one about women using their powers for good. My life’s work as a speaker, blogger, and Chief Engagement Officer of Women Moving Millions has been about championing for women to use their resources, time, treasure, and talent to not only support women and girls around the world, but to help create a more safe, just, and equitable world in the process. It is only when all of us more fully embrace our power to help and serve others that the dream of a brighter future might finally be realized. In the meantime, Wonder Woman is FINALLY coming to the big screen in her own film on June 2nd, 2017, and I will be there on opening day for the first possible screening. The trailers that have been released so far show the Wonder Woman that I know and love; a fierce warrior who comes to the world of man to take a stand and fight against injustice. She is strong, capable, and puts those bullet deflecting bracelets to good use on more than one occasion, and makes it abundantly clear that she will do the right thing, even if no one else will. Young girls need to see more incredible women in positions of leadership. They need to see women who can stand up against injustice. In the absence of a female president, I’ll take a fictional hero who will remind our young girls and daughters that women are powerful agents of change who will not sit idly by. They will march into battle, at times armed only with a shield, bullet-deflecting bracelets, and a lasso of truth, and fight evil in whatever form it may come.